Please join us for our March PSI in Practice free forum, “Forgiveness as a Resource for Healing” presented by Rev. Dr. Cari Jackson. Studies on forgiveness indicate that 92% of respondents believe that forgiveness is important for their lives, yet only 45% of them report actually forgiving someone. These survey results are not indications of hypocrisy, but rather the beliefs that most of us have about what forgiveness is and limited instruction we have received about how to forgive. Based on a belief that forgiveness constitutes “letting someone off the hook” and not holding them accountable for their wrongdoing, many of us contend that there are some things that are unforgivable. Others of us, without realizing it, become attached to our anger and pain when we have experienced deep emotional wounding. Yet, unforgiveness keeps us hooked into a cycle of re-traumatization of our pain and keep us held captive as we stand guard at the prison gates of our pain to ensure wrongdoers are not allowed to be free. This conversation lifts up forgiveness as a resource for our own healing. This discussion begins with an examination of the relationship patterns and beliefs about forgiveness shaped by family and other social systems that foster attachments to pain and unforgiveness as way of life. The conversation highlights recent news stories and sacred texts to help us define what forgiveness is and to understand the benefits and costs of both forgiveness and unforgiveness. The discussion explores the foundations of forgiveness across spiritual traditions as key resources for breaking free of the attachments that hold us captive. Finally, the session offers practical strategies for how to forgive self and others, and how these strategies can be used in coaching others in their own process of forgiveness. This conversation is based on the book, Love Like You’ve Never Been Hurt, which weaves psychology, spirituality, and real-life stories to help readers heal from love-hurt. Rev. Dr. Cari Jackson is the founding director of Center of Spiritual Light, which provides holistic resources for individuals and organizations to facilitate re-envisioning and transformation. The goal of her writing, preaching, teaching, consulting, and counseling is to nurture spiritual and emotional wholeness. An ordained United Church of Christ minister, Dr. Cari has served as pastor of United Church of Christ, United Methodist, and Presbyterian Church USA congregations. She holds a PhD in Christian Social Ethics, MDiv, JD, and BA in Psychology and Sociology. 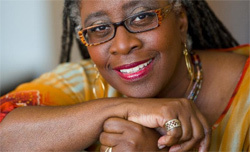 She is the author four books including Love Like You’ve Never Been Hurt and For the Souls of Black Folks. All forums are free of charge. To RSVP, please email psi-invite@mindspirit.org or call 212-285-0043. Our Wednesday morning forums for mental health professionals, clergy, other clinicians and helping professionals include presentations by members of PSI staff as well as invited guests. They are designed to offer opportunities for engagement in topics and modalities that integrate psychotherapy and spirituality. They are also an opportunity for peer fellowship and networking.